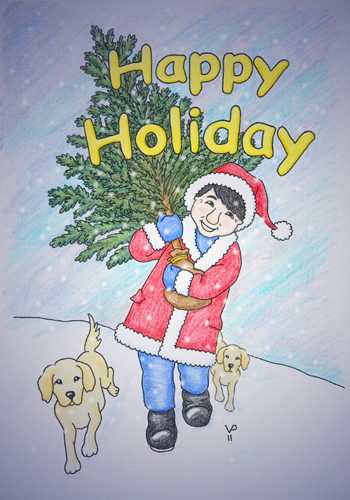 It's that time of year again - - time for a wonderful coloring project from our cartoonist Petra. 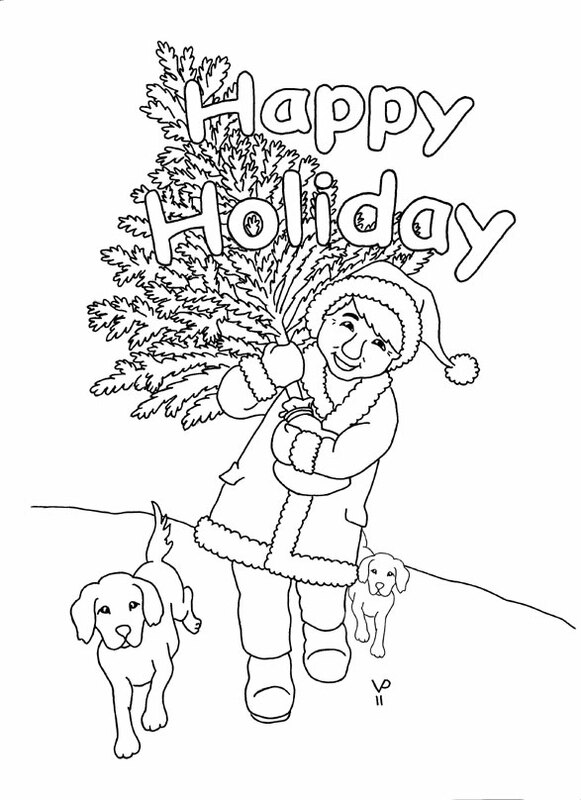 Just click on the picture to download a black and white version that you can color yourself. Thanks Petra! Although you provided your address when you entered, you must send it again! Jackie Chooses Halloween Contest Winners! Click on Jackie below to see if you're a winner! Jackie wants to thank all his fans who continue to support the Build a School for a Dollar project after all these years. In the past two months, fans have donated USD 1,159 and after Jackie matches that donation we now have a total of USD 115,138! 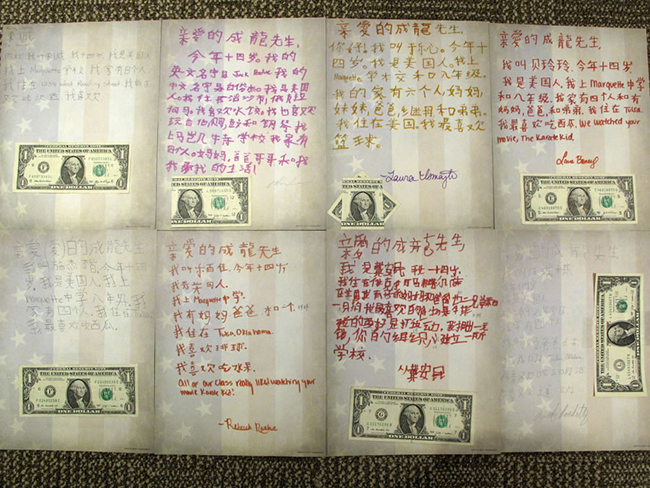 Here are a few of the Build a School donation drawings sent to our office. Please continue to support this project. It is just as important to Jackie today as it was when he first announced it in 2006! Because of the terrible hurricane that struck the USA, we were unable to post new designs until today. All designs are up now, so we'll just wait for Jackie to judge them and let you know who the winners are as soon as possible. Thank you to those who were patient and to those who weren't, we're sorry that you couldn't understand that there was a horrible tragedy in the USA. Click the ghost to see all the wonderful designs! Coming soon: Build a School update. One More Week to Decorate Jackie! The Kids Corner is holding its annual Decorate Jackie for Halloween contest and there's only one week to go before all entries are due. As usual, people from all over the world have joined in the fun. We have entries from India, Pakistan, Brazil, the USA, Greece, France, Russia, Romania, Finland, Canada, Uzbekistan, Slovak Republic, the UK and Norway so far! Truly an international contest. Jackie will be thrilled to see that fans from so many different countries have entered the contest. So get your entry in soon! Click the dancing ghost below for details on how to enter. Click here to see all the great entries so far! Check out the first entries for this year's contest. As usual, fans are creating some wonderful "Jackies" for Halloween! Click on Asha's "Fortune Cookie Jackie" to see all the new entries. Click on the dancing ghost below to enter the contest! Decorate Jackie for Halloween Contest Time! It's that wonderful time of year again when the Kids Corner hosts its annual Halloween contest. This year we are again awarding autographed prizes for the top 9 entries and of course Jackie will judge the contest himself. Click our little ghostly friend for all the details! Update on Build a School Total! In recent weeks, fans and friends of Jackie have sent in donations that bring the Build a School total up to $112,820 !! This is the biggest jump that has happened since Jackie began the Build a School for a Dollar project in 2006. 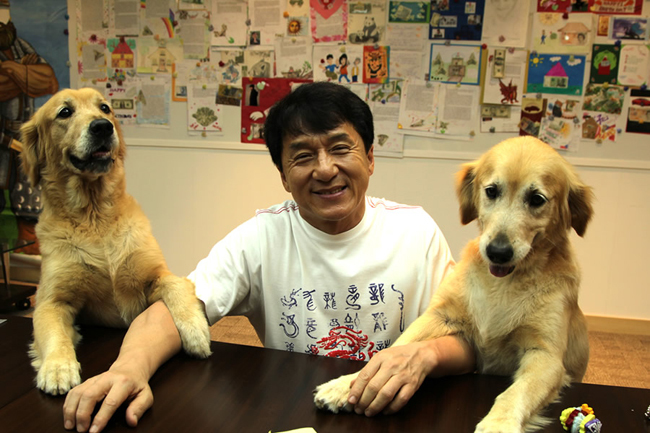 Jackie would like to thank all his friends and fans for their support of this wonderful project. Jackie's fans are a talented bunch and to prove it we have posted many new paintings and drawings here on the Kids Corner. Check out the Art Gallery and the Photoshop Jackie pages to see all the new art. Here's one painting done by Jesus in Spain that Jackie loved so much, he requested the original for his art collection! Wash Your Hands With Jackie! Recently Jackie filmed a public service announcement to encourage children to wash their hands to prevent illness. Take a look! New Build a School Total! Thanks to the generosity of Jackie's fans, we've added US$1804 to the total raised for the third round of the Build a School for a Dollar project. Summer is here and a lot of kids are on vacation now. What better time to sit down with your crayons and create a wonderful Build a School drawing to send to Jackie with a donation. For instructions, click here. Thanks to Sabina for sending in her terrific drawing of Jackie. To see more caricatures or read instructions about how to send in your own, click on Jackie below! When Jackie saw all the birthday cards he received this year he said "Thank you to all the fans for making the day special for me." We also thank you for all the donations to the Build a School project. The total is now over US $43,000. 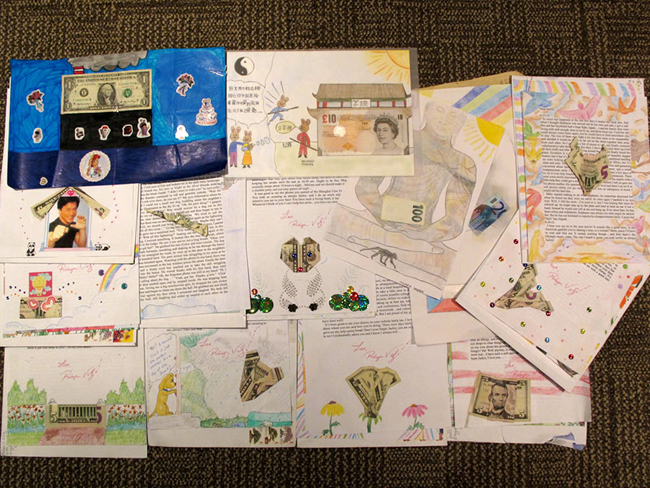 Click here to see some of the wonderful donation drawings sent from fans. Jackie's birthday is only six days away, so it's time to send in your birthday card. 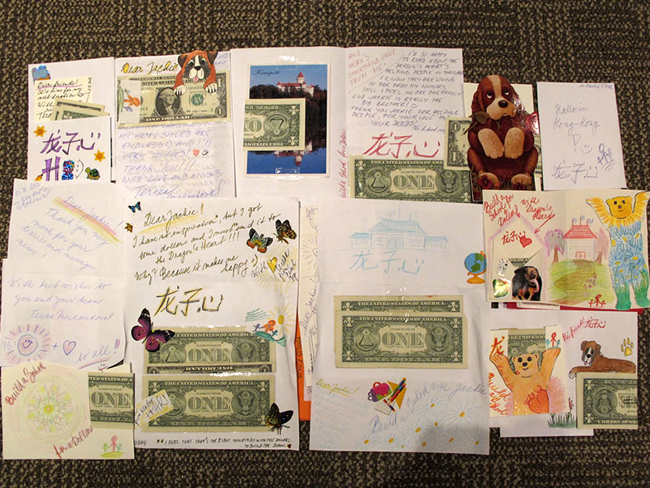 We've posted some that we've received, but it would be nice to have lots more to surprise Jackie with! Note: Please don't send a Happy Birthday card you find on a Google image search or a painting that is not made specifically for Jackie's birthday. Take a look at what some fans sent to get and idea! Click here. Guess Whose Birthday is Coming Soon? 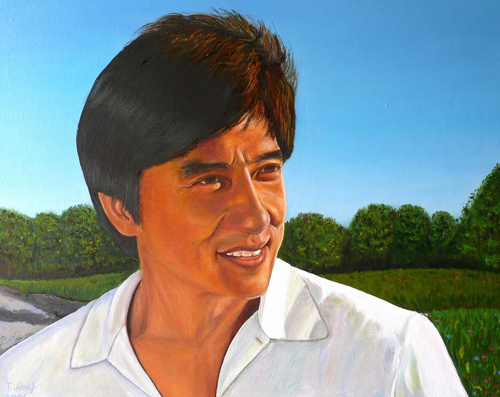 On April 7th, Jackie will celebrate his 58th birthday. Find out how you can help him have a special day by clicking here. Jackie's fans have proven their generosity over the holiday season by donating a total of US $3,896 since our last update in October! With Jackie's matching donation, the total for the third round of Build a School for a Dollar is now US $40,252. Jackie wants to thank all his fans for their donations. Some donations are small and some are large, and all of them come from the heart. Take a look at the donation drawings page and also at the new story under our Build a School Helpers section. You will see some wonderful things! More Updates at the Kids Corner! The webmaster has been going through some saved emails and found lots of great projects sent in by Jackie's fans. There are updates all over the Kids Corner! More will be coming soon! Click here to see a new Buddy Bear design. Click here to see some funny new Photoshop Jackie projects. Click here to see new caricatures of Jackie. 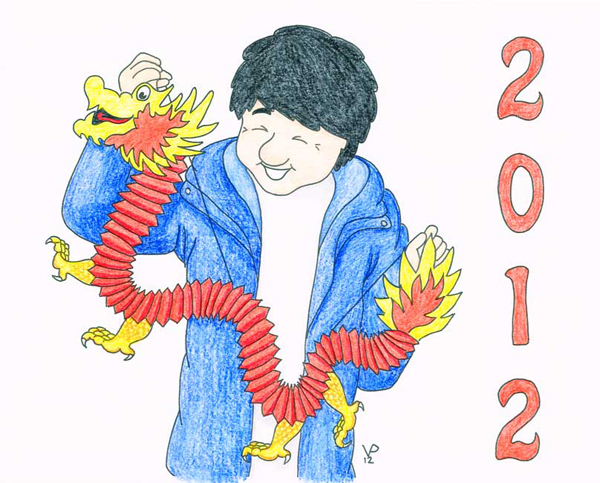 Chinese New Year is coming early this year, so we won't be sponsoring another contest so soon after the holidays. However, our resident Kids Corner artist, Petra, has given us a beautiful drawing to print out and color. Thanks Petra! 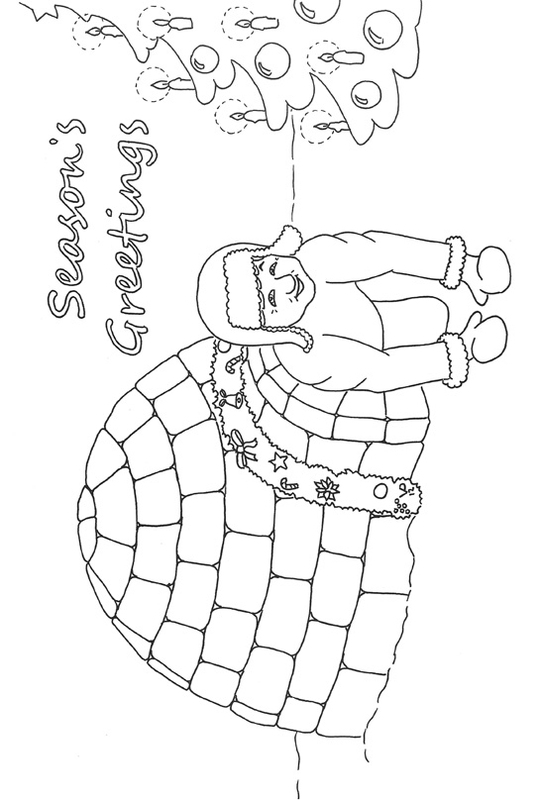 Just click on the drawing below to see a black and white version that you can print out and color. 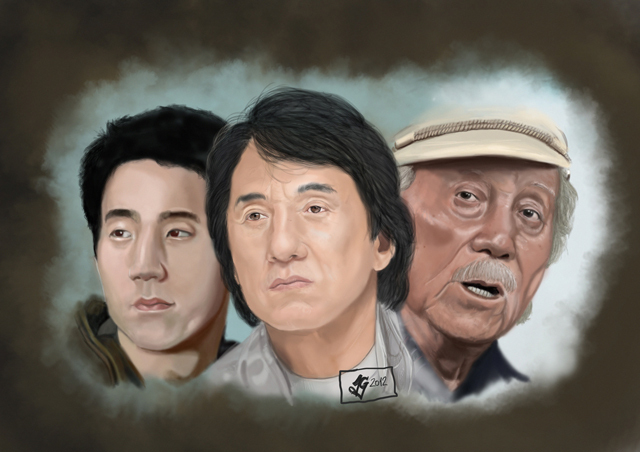 Thanks to all Jackie's talented fans who have sent in drawings. They have not been posted in the Art Gallery. Click on Asha's beautiful painting of Jackie, below, to see them all. 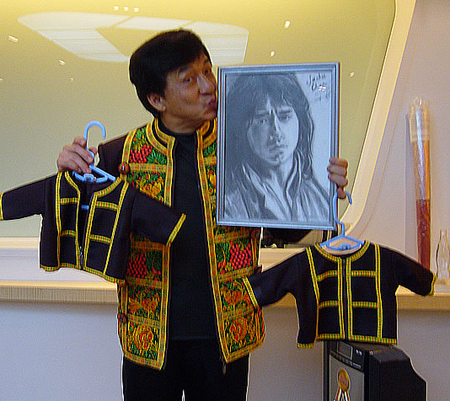 If you have sent a drawing of Jackie and don't see it in the gallery, email it to jckids@jackiechan.com and we'll get it posted right away! As usual, many people waited until the last hours of the deadline to send in their designs, so it took a while to update the entries page. All entries are now posted and we will announce the winner when Jackie chooses it. Thanks to everyone who entered and good luck! 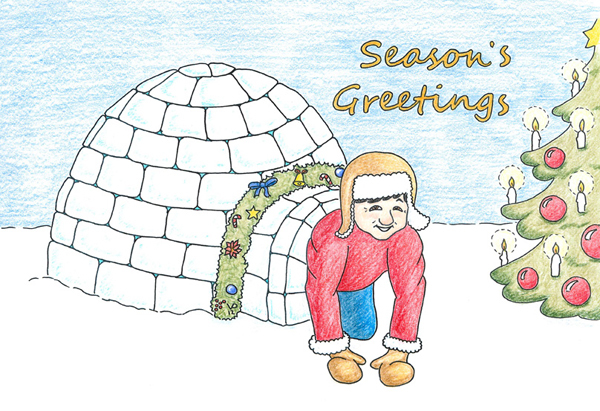 Click here to see all of the entries in this year's contest. Check Out the Holiday Contest Entries! Thanks to everyone who has sent us a design. 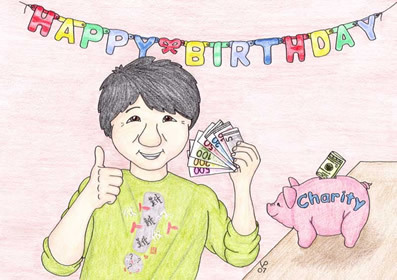 We've already received 24 beautiful drawings from fans all over the world. To enter the contest, click the banner below for information. Remember, winners receive an autographed 8x10 photo of Jackie! Contest deadline is December 24, so hurry up and send yours! Click here to download a black and white line drawing of Jackie, Jonesie, and JJ to color yourself! Thanks Petra! Decorate Jackie for Halloween Contest! Click the ghost below to see who won and to see photos of Jackie choosing the winners. Decorate Jackie for Halloween Contest Ends! This year there were 122 entries from all over the world in the Kids Corner's most popular contest. Jackie will judge the winners, so check back soon to see if your design is chosen! Click the little ghost above to see all the wonderful entries. Lots of New Entries for the Decorate Jackie for Halloween Contest! Over 50 new entries have been added to the Decorate Jackie contest page. Thanks to everyone who has entered. There are only 3 more days left to send in your entry, so get busy! 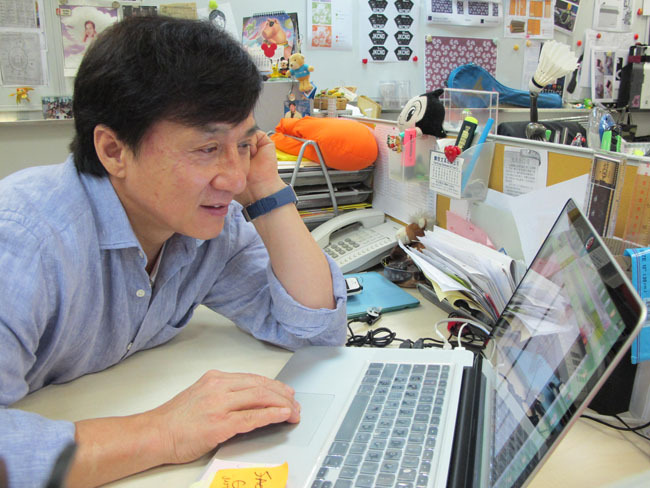 Remember, Jackie is personally judging this contest and he loves to see all the creative designs. Click here to see all the new designs or click on our little ghost friend below for instructions and coloring templates. As usual, Jackie's creative fans have come up with new and wonderful ways to decorate their favorite action star. Check out the first entries in the contest by clicking here and if you want to join in the fun (and maybe win a great autographed prize) click on our little ghost friend below for instructions and coloring templates. The new total for the Build a School for a Dollar project is now US $32,460. Although donations have slowed down, we have still gotten over $700 in new donations in the last 3 months. If you would like to participate in Jackie's project to help build schools in rural China, click here for information! Don't forget that we're having another Decorate Jackie for Halloween contest. Jackie himself will be judging the winners. Several people have sent in designs and we'll post them as soon as we have a few more. For information on how to participate, check out the post below. It's the time of year for our most popular contest here at the Kids Corner! Jackie has once again agreed to be the judge , so get going on your design. Click below to get started. Read a great story about two girls who put their skills together to raise money for Jackie's Dragon's Heart charity. Build a School and More Updates! Thanks to everyone who continues to support Jackie's Build a School for a Dollar charity. 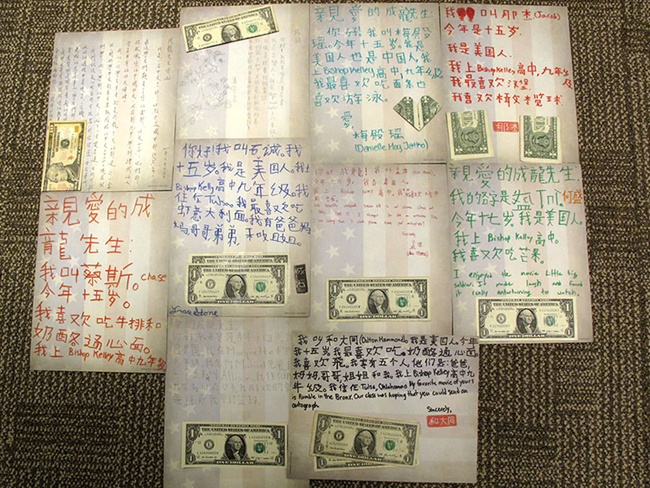 We received several beautiful drawings and a total of US $333. Although this amount is the lowest we've ever received in the past 5 years, we hope that fans will find it in their hearts to send in donations and donation drawings. For instructions on how to send your drawing, click here. Click the banner below to see the latest donation drawings. 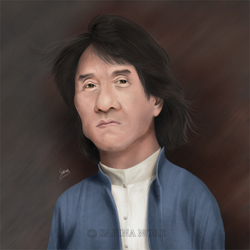 Sharing Corner: Meeting Jackie Chan! We've added two wonderful stories to the Sharing Corner. One is from a fan who met Jackie in Paris, France, this year. Chris, a Paris police officer, writes about his dream come true - - meeting Jackie! The other is from a clever fan who recreated one of Jackie's classic characters. Click below to read the new stories. We've added several more caricatures to our gallery. Click here to see the latest funny pictures people drew of Jackie! To read past news reports, just click on the month you're interested in viewing. Remember that many of the older links in these news archive are no longer active.